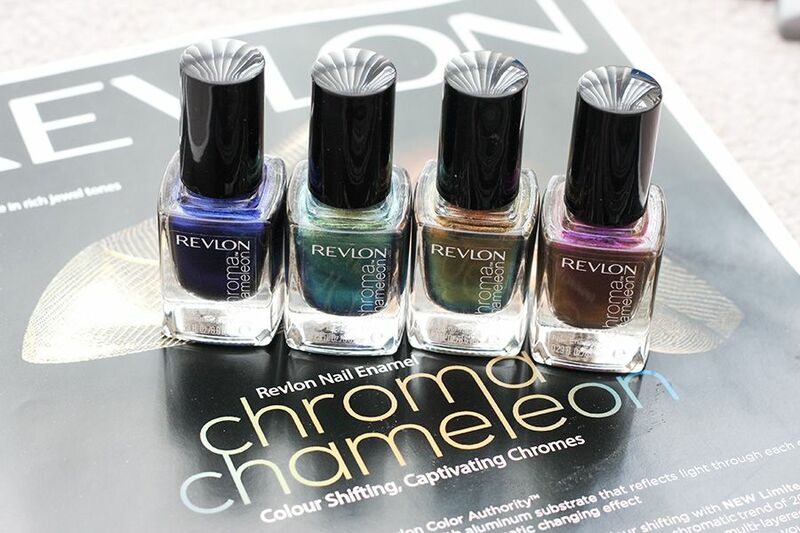 During the Revlon 2013 Product Launch event, we spotted their Chroma Chameleon collection. It is now out in the counter and I see some shades are flying out of the shelf fast. 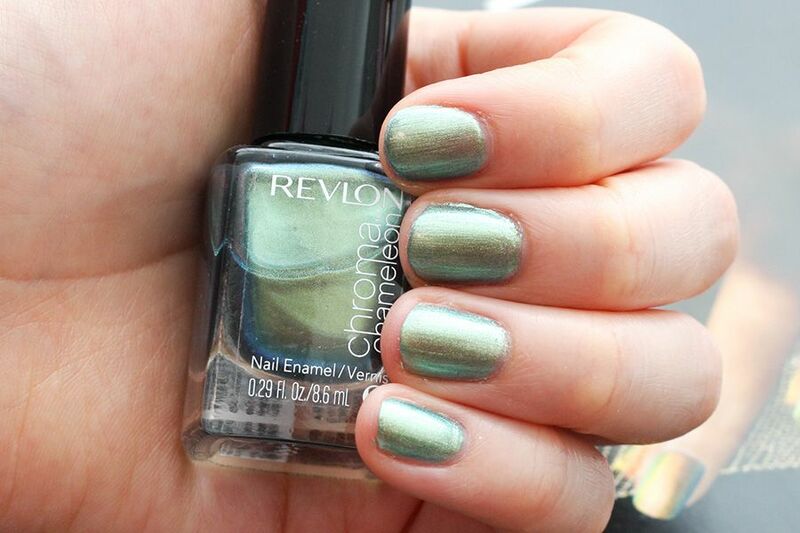 The Chroma Chameleon collection consists of 8 jewel tone duo-chrome nail polishes. I have four of them here to share with you. 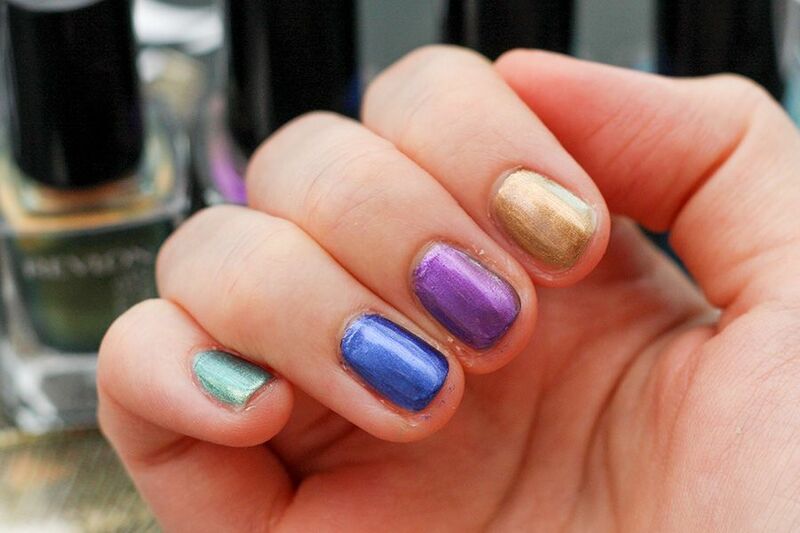 The colours are quite pretty on its own but the duo-chrome effects vary across shades. 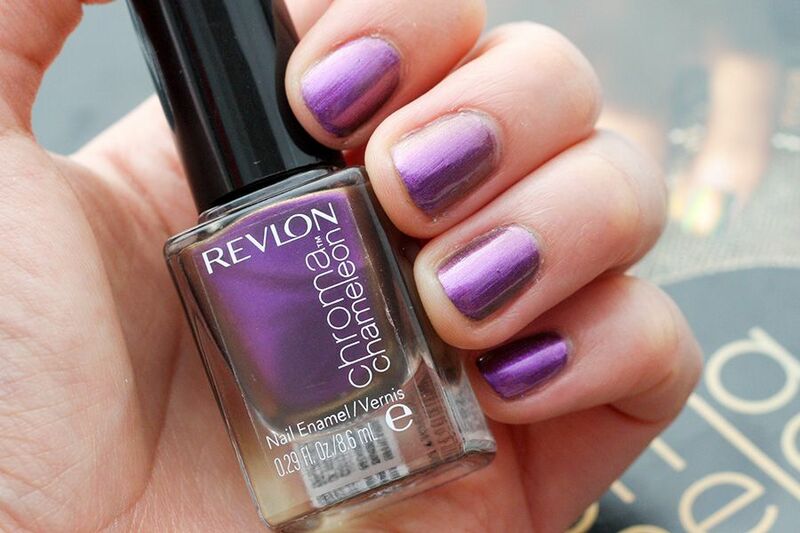 With all the shades, you achieve better duo-chrome effect when you have 3 coats on, which is what I would recommend. But I still find that Cobalt and Tanzanite are lacking in that department. 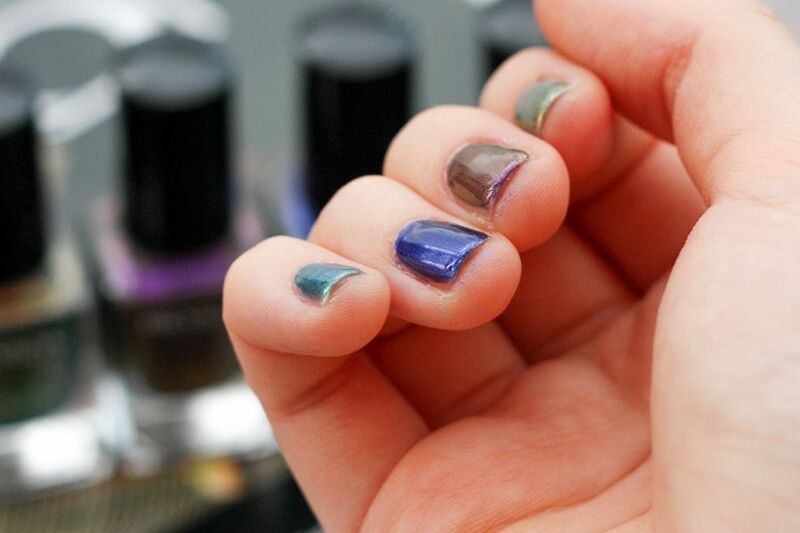 A good thing about all these polishes is that it doesn't take too long to dry as long as you apply a thin coat. 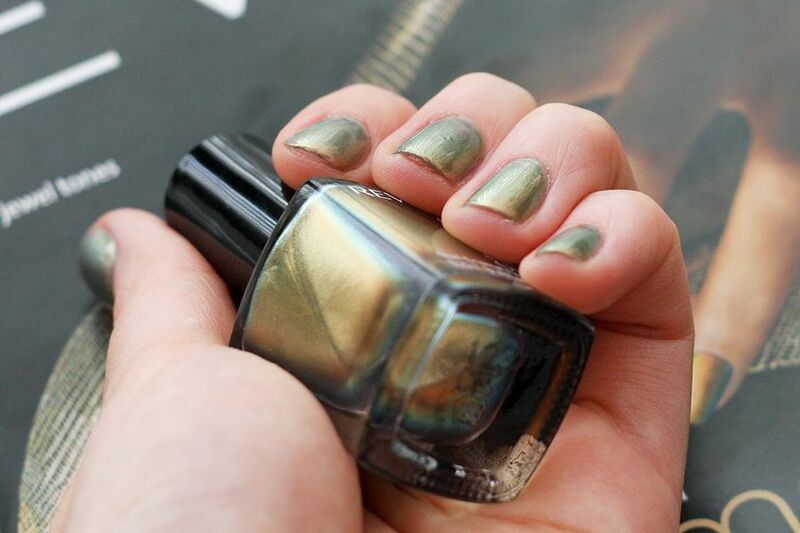 Topaz* has a mantis green metallic base colour with blue duo-chrome. 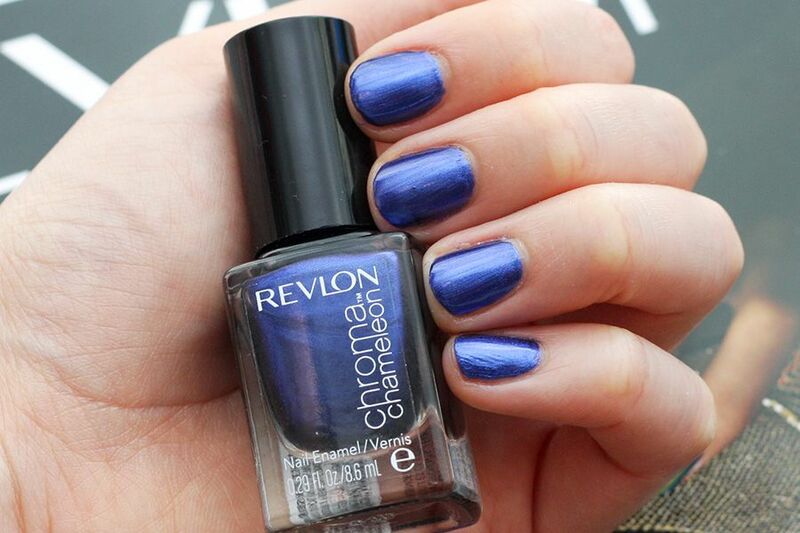 Cobalt*, like its name suggests, is a cobalt blue base with a slight purple duo-chrome, but it's not very detectible on camera (or real-life for that matter). Tanzanite*is a metallic purple with an antique bronze duo-chrome. 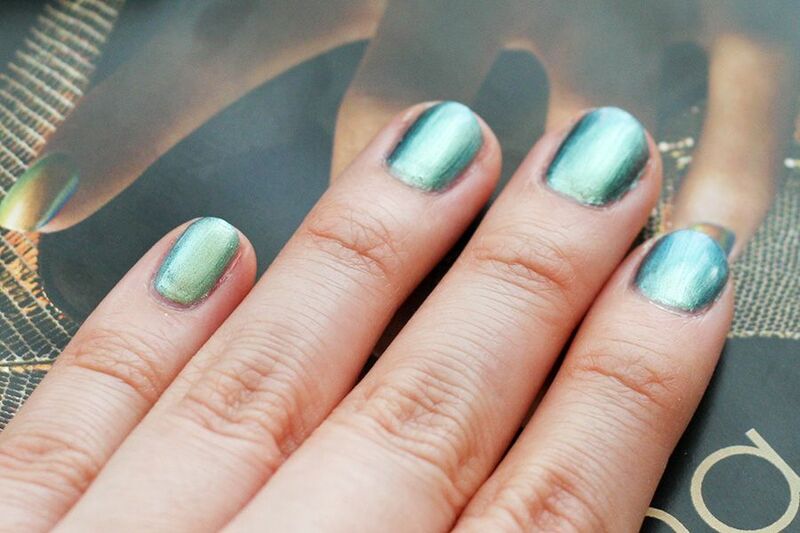 Rose Gold*is a rosy gold colour with blue green duo-chrome. With the four colours I have, I like Rose Gold the best. 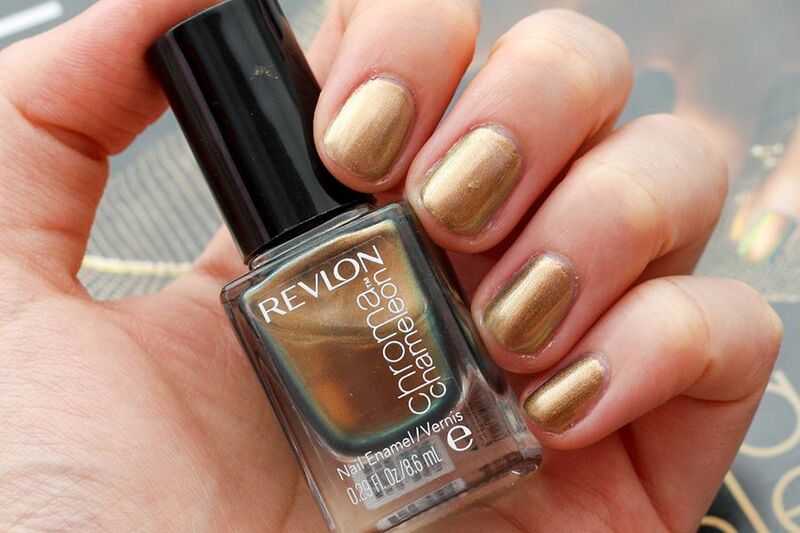 It gives a light rose gold colour with minimal duo-chrome effect when you apply one coats; however, with 3 coats, it gives a stronger duo-chrome effect and the colour changes to antique gold, almost bronze. If you have to try one colour, I'd recommend Rose Gold because of its versatility. Cobalt Nail Swatch is gorgeous! I also really like Topaz too! Topaz and Cobalt look great! I think the cobalt is really light-dependent. 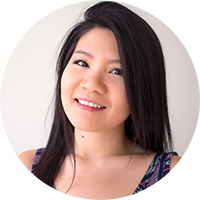 I've been wearing it in fairly overcast conditions and it turns a beautiful dark purple. Great review. I love seeing it on people before buying! The purple is really nice.